What’s involved in a Vicki Wilson Workshop? Do you want to learn my unique equine therapy techniques? Do you have a sore horse? Are you considering coming to my workshops? Find out what’s in store. Whether it be saddle fit, foot case or dental work, it’s safe to say I’ve got a lot of experience when it comes to working with sore horses. Twenty odd years in fact. Over the past six to eight years, I’ve focused a lot on body work: Understanding how horses work and why they react the way they do. Coupled with a passion for helping sore horses, I’ve developed a unique equine therapy technique. I have treated hundreds if not thousands of horses using this technique, and now I want to share it with you. Over the last 18 months, I’ve been been running hands-on equine therapy workshops across America, Australia and New Zealand. 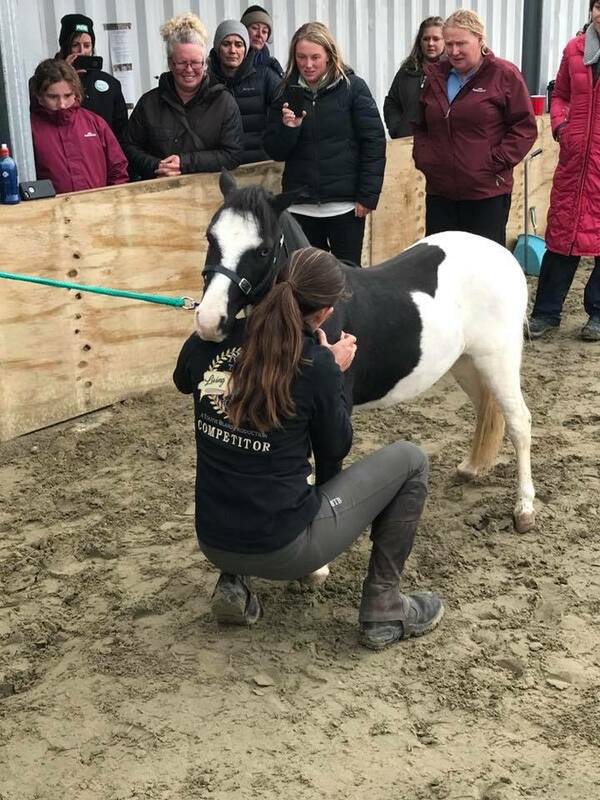 These workshops enable me to share my expertise with the public, and to provide others with the ability to help their horses without the stress and time of more traditional therapies. 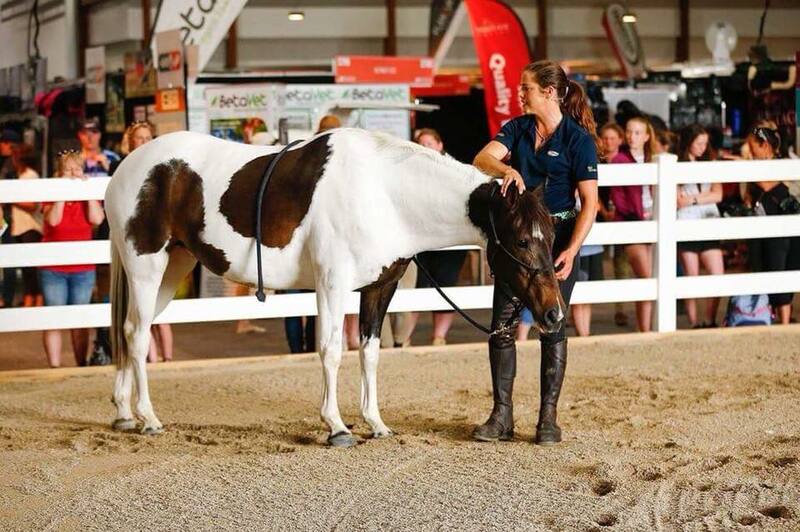 These workshops are a fantastic way to strengthen the connection between you and your horse and enhance overall performance. Bucking, rearing or being head-shy are often signs of a sore horse. Horses are inherently honest. When horses are misbehaving they’re trying to tell you something. No horse wakes up and decides “today I’m going to be naughty”. There is always a reason – but do you know what it is? Equine therapy is a hands-on methodology used to enhance a horse’s wellbeing and performance. Equine therapy teaches us how to identify the root of a horse’s pain (which is triggering the unwanted behaviour), and the techniques that remedy it. Equine therapy works with the entire skeletal system or structure of the horse. This includes muscles, ligaments and the joint system. Therapy techniques are wide-ranging, and can include massage, adjustments, stretches and rehabilitation – combining chiropractic care, physiotherapy and osteopathic techniques. I believe that a happy horse is a horse that is mentally, physically and emotionally sound. That is why my equine therapy techniques and philosophy is holistic and all encompassing – it addresses every aspect of a horse’s wellbeing. Who can Attend a Vicki Wilson Workshop? These workshops are made up of a combination of attendees (or fence spectators) and sore horse owners who bring their horses along. You can participate as little or as much as you like. Whether you are an attendee or you bring your own horse, whether you’re a professional rider or a pleasure rider, you’ll get the same amount out of my workshops. Everyone is welcome. What Happens in a Vicki Wilson Workshop? A healthy horse is a happy horse, and a happy horse makes for a happy rider. At the start of each workshop, I provide a brief overview of my techniques, my philosophy, and how to get the best out of the session. The rest of the workshop is very practical - I believe there is no better way to learn. While horses are inherently similar in the way they respond to treatment, I will assess and work with each workshop horse on an individual basis in a very ‘hands-on’ way. Working with a range of horses and range of issues during a single workshop provides case study after case study of useful information. For this reason, my workshops are not limited to one issue or one discipline, and no two workshops are the same. As I work with each horse, I’ll talk through what I am doing, what I’m looking for, what I’m feeling, and what I find, demonstrating my techniques along the way. I will ride the horses, lunge them - whatever they need. We’ll discuss teeth management, foot balance, the importance of saddle fit, sheath cleaning, massage, and I’ll share some techniques that you can take home with you. In many cases, horses can get back to being happy, healthy and able to work at peak performance after a single workshop. However, this depends on whether the pain is caused by a minor tweak or a long-term, chronic injury. It also depends on whether or not the horse requires further veterinary treatment, beyond the scope of my equine therapy techniques. I’ll provide you with a rehabilitation programme for your horse, show you how to improve your training programme and explain how to correct your horse’s issues. I follow up each workshop with an email that includes a summary of the session, important facts, any information you may have forgotten and an invitation to get in touch if you have any further questions. What are the Benefits of Attending a Workshop? These workshops are about awareness. Each horse responds differently to pain: some react, others shut down, some run away while others cope well. My goal is to give you and your horse the necessary tools to identify when something is wrong, and enable you to massage, stretch or adjust your horse yourself, as well as determine when a professional is required. It’s not fun to kick or hit your horse, yank or pull on the mouth with a big bit when you can simply fix a sore horse yourself. This is a more enjoyable method for both horse and rider. I’ve had amazing feedback following my workshops about horses that were previously dangerous or unrideable now able to be safely saddled and ridden, or horses that were struggling in the ring, stopping and rushing who are now happy and relaxed. What sorts of Problems are covered in a Vicki Wilson Workshop? Upcoming group workshops, including time and location, can be found by clicking here.